West Sacramento, Calif. - Number four Giants prospect Shaun Anderson delivered five strong innings on Saturday evening, his first start of the season for the Sacramento River Cats (2-1). A pair of home runs and two big innings paced the offense to an 11-5 victory over the Rainiers (1-2). 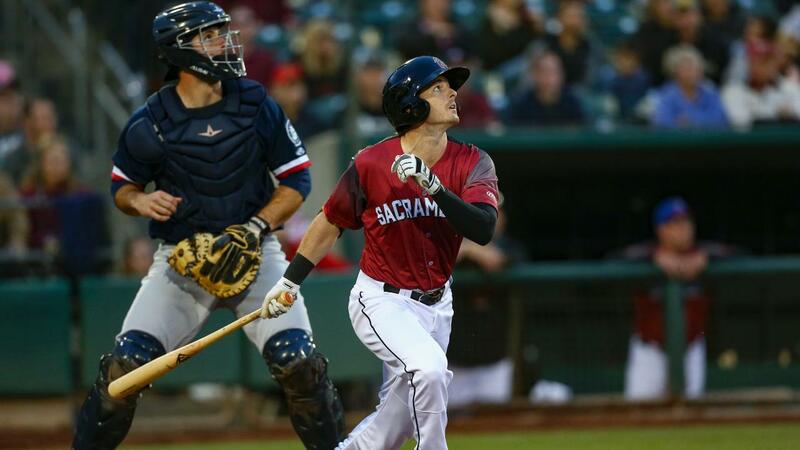 It was the second night in a row that Sacramento jumped out to a sizeable early lead, but this time the River Cats' bullpen would close out the win behind solid efforts from righties Tyler Rogers and Ray Black. • Aramis Garcia's home run in the third inning was the River Cats' longest homer of the season, a whopping 435 feet to left-center. The longest home run in 2018 came off the bat of Chase d'Arnaud and traveled 464 feet. • The River Cats are now 1-0 when scoring more than 10 runs. Last season the River Cats finished the season at 4-1 when scoring 10 or more runs. • The River Cats have smacked three home runs on the year - all three have come in the third inning with one out.